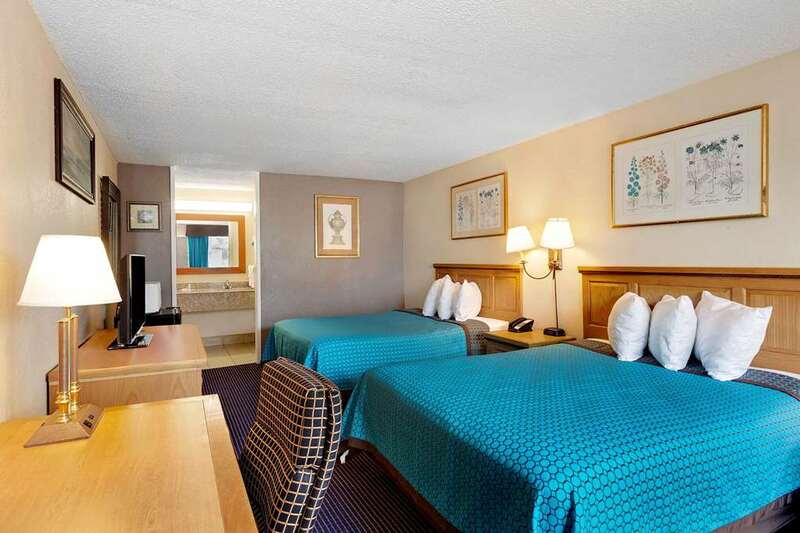 The Days Inn Lafayette Near Lafayette Airport is conveniently located at Exit 103 A/Hwy-90. Hotel is adjacent to Lafayette airport. 3 miles from University of LA. 25 miles from the Cypress Bayou Casino. Free Daybreak Breakfast. Complimentary Onsite Fitness Center open 7am-7pm. A Variety of restaurants are in the vicinity including Gator Cove, Evangeline Steakhouse Chilis and Canes. Pet friendly hotel-Nominal 15 dollar fee per pet per day. Smoking and non-smoking rooms available. Fax and Copy Service. Restaurant delivery service for all area restaurants to hotel-Nominal fee applies. We offer the following in all Guest Rooms- Free local calls, Free Wi-Fi, 27 inch TV with Expanded cable, HBO, 4 ESPN Channels, 3 Spanish Channels, Fox news, TNT, BET, and many more. Hair-dryer, Clock radio, Iron and /Ironing Board. Weekly rates are available, please call the hotel directly for more information. While staying with us be sure to visit Avery Island-Tabasco, Evangeline Downs, Cypress Bayou Casino, World Famous Blue Dog Cafe, Cajun Dome and Acadiana Zoo. Swamp tours are always fun and are easily accessible from our hotel We offer great Southern Hospitality and look forward to serving you during your stay in Cajun Country.